Hello, and Welcome everyone to LilacsNDreams! Shopping in stores, Online Shopping, Thrift Stores, and so on. 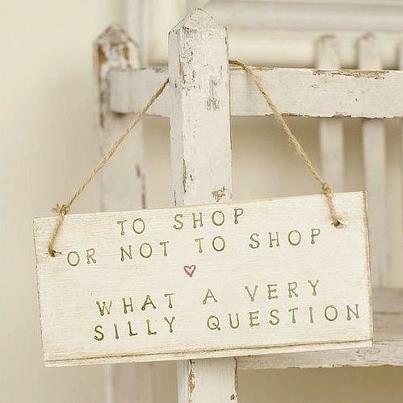 We all enjoy shopping them, and we all enjoy bargains too. Online Shopping is a very hard business to deal with, takes a lot of work, a lot of time, and eventually over time depending on what your goals are things can be good for you too. Yes, having a brick and mortar store is also much work, and that I won't deny. But, there is a bit of difference from the physical to online as we learn over time too. I am a slow bloomer I guess. I have done Online Sales since 2004 where I first started with Ebay. I enjoyed the hunting of products, finding good deals...some of them stayed home with Me:) But, I always enjoyed shopping, and digging for just the right items to be offered at Ebay to sell. Since then I have moved on. I still sell occasionally with Ebay, but I have moved more products over to Ecrater, Etsy, and some things with Artfire too. Lower fees, better sites, little bit more control of things you can do, and more opportunity as well. As I moved on I also had the need for something else I should be doing. I then got into repurposing, upcycling, recycling, and reusing items to make different pieces for the home. I adore vintage, glassware, pretty things, and have been enjoying what I have done so far with different pieces. I am selective with items found to use, and sometimes I think I am too selective. But, if I would be happy to have it used/displayed with my own home, then I feel it is ready to offer to others as well. At some point I thought it would always be a great accomplishment if I could have my own website too. Whew! Has anyone ever really checked into those, what it takes, the cost of things, all the coding, the complications, the different hosts being offered, domains, shopping carts, etc, and etc. It can get really spendy. Well, I am one who has always tried to save a penny where I could, but still have the advantages of what some others might be offering too. I do have a website I have been working with slowly....very slowly really. 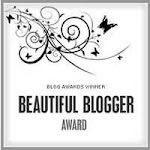 I have enjoyed working so much with my blog, and what I can do with it. The more I learn, and teach myself the more I enjoy it. As many of you can see at the top I have tabs to different pages I have added with my blog. I did these pages in a way that we could all still interact on them, and that when I wanted to make changes, add things, remove things, and etc....that they would work for what I needed them to do. So, right now I am doing the best way I know to do things, what I have taught myself, and making things simple for everyone too. As of today...still a working progress, and things will change as I move along with it. 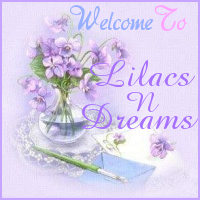 My secondary page to my blog that I focus with is my LilacsNDreams Shoppe. Here I have always shown pictures of items I am offering in my shops, and I leave clickable links for everyone to visit so that they can view more pictures, see more details, and so on. Wasn't trying to hide anything from anyone on this landing page of my blog, my main page here, but I also did not want this to become all about business with my blog either. That is where different pages I wanted were slowly added in for different interests, and to keep some things a bit separate from the next one as well. Anyway, I have now started to add buy it now buttons to items I am showing on my Shoppe page. No shopping cart yet, it is all a working progress for me. Learning, trying things out, and looking at shopping carts as well. Paypal offers them, and there are others that also offer them for sites as well. But, for me it is a start, a working progress. So, when you get a chance hop on over to see what I have done so far with my LilacsNDreams Shoppe page. If you have any ideas please share them as I am still learning, and many others are also learning as well. Some day (one of my goals) I am hoping to mostly be selling from my Blog/Website, and not having to deal with the extra shops, rules, glitches, and etc. Anyway, till then....have a look, and I hope you enjoy what I have started with so far. 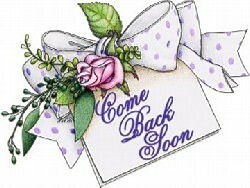 Take care everyone, and thanks so much for visiting with LilacsNDreams. I know I generally don't post on Tuesdays, and this comes a little later in the morning than what I schedule, but hope it finds you all doing well. I am sure the rush is on in preparations for the holiday, travel, and etc. Be safe everyone, and enjoy! :) See you again soon.